Our linux VPS servers are hosted on the latest, top-notch, enterprise-grade servers deployed in our world-class datacenters. Different distributions of Linux OS, such as Ubuntu, Debian, CentOS, as well as Unix based OS like OpenBSD and FreeBSD can be installed on your VM. All Linux VPS services are provisioned with full root access that is usable through SSH. In order to maximize performance, we use the latest Intel & Supermicro enterprise-grade hardware and high-speed HDDs in RAID10 configuration on all virtual machines. Order a VPS plan, and have it be activated within 15 minutes of payment confirmation. Providing fast and reliable services, as well as customer satisfaction are our priorities. Why Choose 1Gbits Virtual Private Servers? Read through the brief description below for information on our VPS, as well as some advantages that come with them. All 1Gbits virtual private servers are based on Intel and Supermicro enterprise-grade hardware that brings great stability and complete efficiency to our bare metal servers. 1Gbits VPS servers are based on a powerful and stable Vmware ESXi hypervisor which allows support for full isolation, truly dedicated resources and a stable performance to your virtual machine. Our professional support team is always online to monitor and keep up the stability of your services. We are always accessible through several methods, such as live chat, ticketing system in your client area, phone or email to provide you with the best possible experience. Buy a 1Gbits Linux VPS server, and get access to all these exclusive features today. A vast choice of different locations, including but not limited to the USA, Canada, Germany, Lithuania, UK, Franced Romania. A 99.9% uptime thanks to the latest enterprise-grade hardware products on the global market and 24/7 monitoring by our support experts. A choice from a wide range of Linux-based distributions, including Debian, Ubuntu, CentOS, OpenBSD, and FreeBSD, as well as their version. 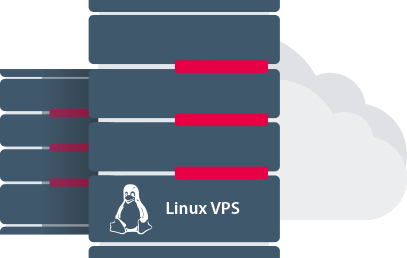 A Linux VPS with truly dedicated resources to enhance the operating systems' speed and performance, allowing for a consistent and uninterrupted service. Your Linux VPS will be set-up and running within 15 minutes of payment confirmation. We will provide additional hardware resources upon you request and will upgrade the current plan in the shortest time possible upon completion of ordering process. A Linux VPS with full root access offering complete management and control over your virtual private server. 24/7 support services for all clients via ticketing system, emails, phone calls, Skype, and online chat. In order to enhance your user experience with our VPS services and dedicated servers and improve your knowledge and awareness, our professional team will provide appropriate useful content on all 1Gbits services and related articles. i do really appreciate the quick and kind service..